After graduating from different schools and institutions, nowadays students seek a competent job to jump start their future endeavors, and find their place in the industry that interests them most. Develandoo has taken on the responsibility of educating and providing opportunities to those bright students who have a considerable potential to grow and learn. Many students from Develandoo’s Training Program have put their knowledge to work by starting their careers at Develandoo. In fact, since the inception of the program, 20+ students have been hired. 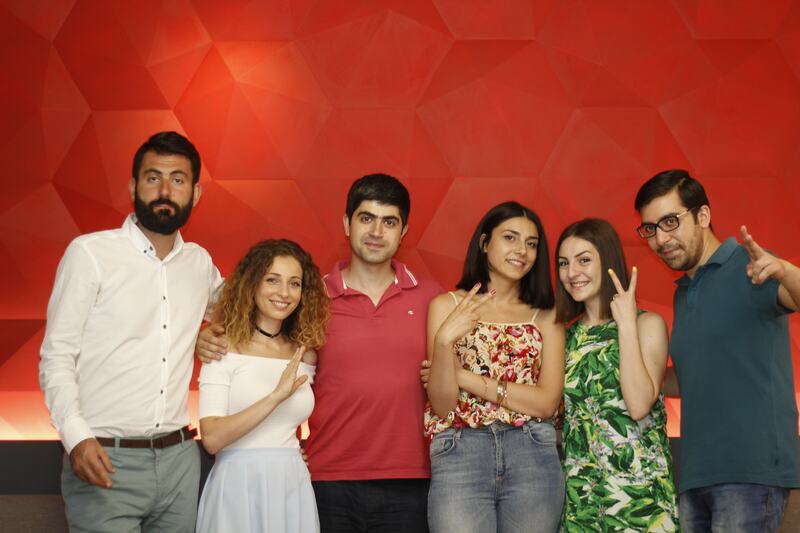 We’re featuring four former students who now work at Develandoo – Gagik Alikhanyan, Artashes Mardoyan, Gevorg Gevorgyan, and Alex Gasparyan. We find out what they think about Develandoo’s Training Program. WHY DID YOU CHOOSE TO STUDY COMPUTER SCIENCE? Alex: I like computer science very much, but I’m also interested in learning about different subjects related to computer science like computer modeling in quantum mechanics. Gagik: I chose to study computer science because it‘s very important today. Starting from my childhood, I have been working with various technologies. At school, I started studying the subject and decided that this was the right path for me. Artashes: I’ve been interested in computers ever since I was a child, but had no idea what they did. Every industry uses computers, so it’s exciting that I could work in many different environments. Gevorg: When I finished university, computer science was rapidly developing and growing in popularity. So, that’s why I chose this field. I’m a computer science and mathematics teacher at the university, and a business analyst at work. WHAT SPECIFIC PROJECT ARE YOU CURRENTLY WORKING ON? Alex: I’m currently working as an Android developer on several mobile projects of Develandoo such as Iconus, Bip Bip, and Woki Toki. For example, the aim of the Iconus application is to give users an opportunity to create icons relating to an exciting topic or event. They can also add different kinds of media to the icon, such as audio, video, or photo. They can leave comments on the icons or add them to their favorites by liking the icon. The application enables users to find the icons they may be interested in by providing suggestions, as well as allowing icons to be created by an official user. It has been a really interesting and challenging project for me. Artashes: I’m taking part, as a Backend Developer at LeadCrawl, which is one of the startups incubated within Develandoo. It’s a B2B online marketing automation platform that helps sales teams ease their work and make a more productive delivery service. Gevorg: I’m working on one of the biggest mobile projects in Develandoo called L1BRE, a project to be used in Mexico. The project is challenging and full of opportunities to learn new technologies during coding. L1BRE is an application that helps drivers and passengers find each other in a few minutes. You can quickly and reliably move around Mexico city at any time of the day; no more parking, no waiting for a taxi or a bus. Gagik: I’m currently working as a backend developer at LeadCrawl, a startup developed by Develandoo. In the project, I am taking the role of covering all backend tasks regarding crawling and scraping, as the project is closely tied to the crawling mechanism. The project is considered one of the fastest growing projects in Develandoo and comprises of all the trends and solutions specific to the marketing and sales industry. We’ve developed a service that provides a huge range of possibilities for users, from the generating of leads to the scoring of leads. HAVE YOU USED THE SKILLS YOU LEARNED DURING THE DEVELANDOO TRAINING PROGRAM? Artashes: I use some skills that I gained from the college. Alex: I use the knowledge that I gained from the Develandoo Training Program in my work every day. Gevorg: Unfortunately, the basic university courses do not cover all specific project needs, and self-development is a continuous process. So yes, I have used various soft and hard skills from the Develandoo Training Program, but I am still learning new things everyday. 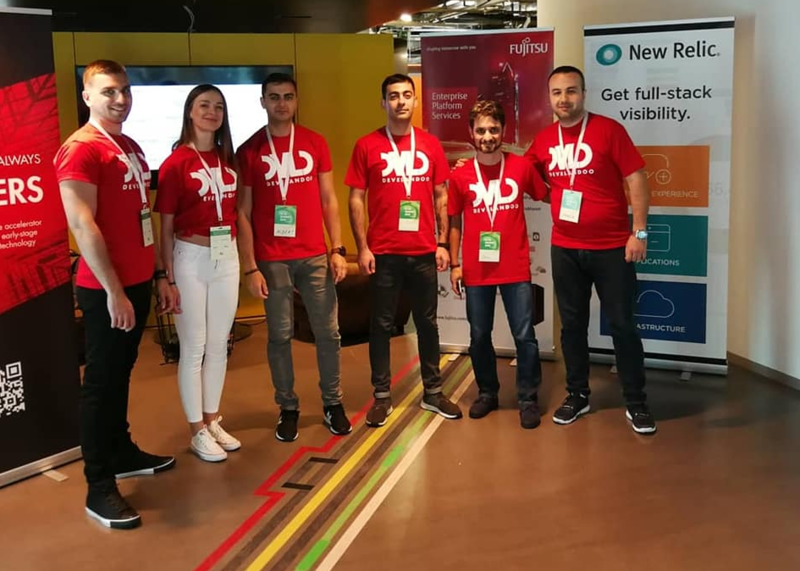 Gagik: Yes, I apply the skills I have learned during the training at Develandoo that most help me become a dedicated backend developer and understand the code architecture and structure. HOW HAVE THESE SKILLS FROM DEVELANDOO TRAINING PROGRAM HELPED YOU AT DEVELANDOO? 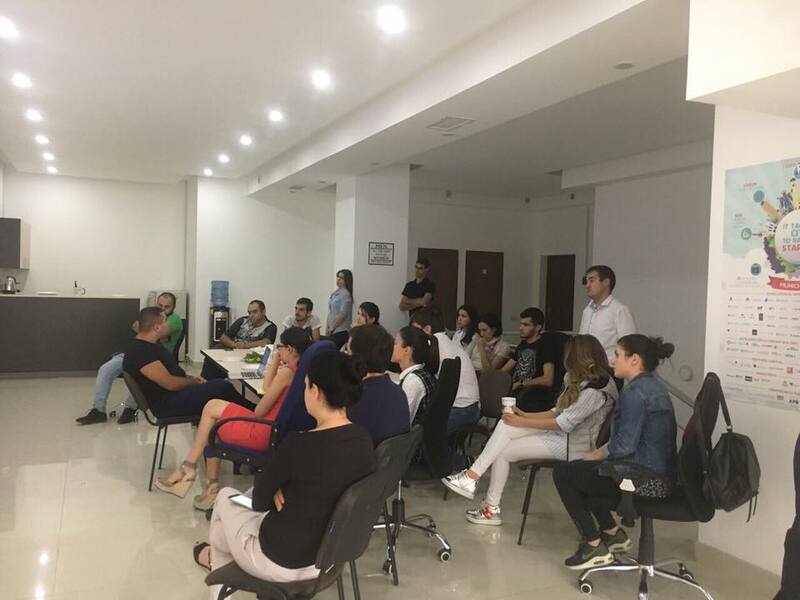 Gagik: The programming skills that I gained from the Develandoo Training Program not only helped me but also are what ultimately led me to work at Develandoo. Alex: Before Develandoo, I hadn’t been working as a mobile developer. The Develandoo Training Program introduced me to the specialization, going in-depth with its training materials. I gained a lot of theoretical and practical knowledge through the program. Artashes: It helped me to gain knowledge in various technical areas. I should mention that one of the positive aspects of the Develandoo Training Program is that it acts as a bridge to Develandoo, and it is a good way to meet future colleagues. 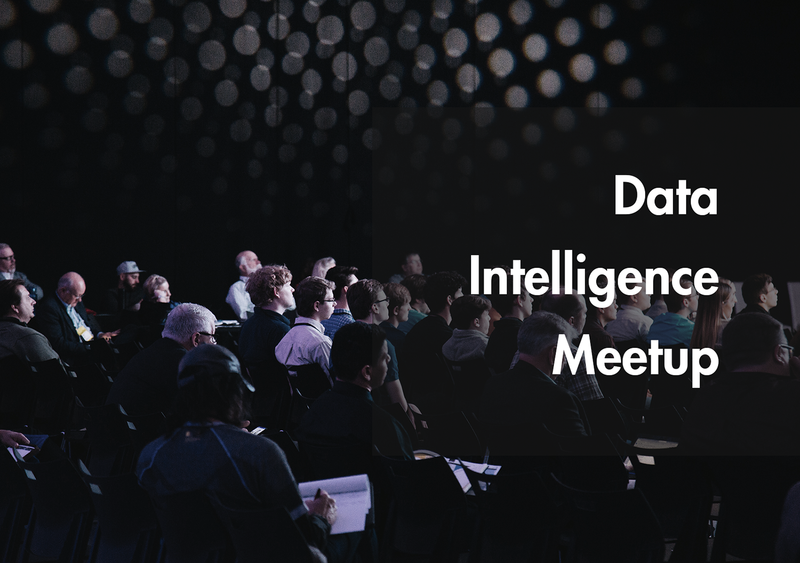 Gevorg: The program is based on real-life project-based analytics, development, and scenarios, so it was very useful to me to have a broad overview of product development. HOW MANY OF YOU WERE IN YOUR GROUP? HOW MANY OF YOUR PEERS WORK WITH YOU AT DEVELANDOO FROM THAT GROUP? Artashes: There were 15 people in my Develandoo Training Program group, and four of us now work at Develandoo. Alex: When I was trained, we had a team of six mobile developers and all six people work for Develandoo. Gevorg: There are two people from that group working with me. Gagik: There were six participants in our group. Three of our Develandoo Training Program group participants work at Develandoo now. WHAT ARE SOME CHALLENGES FOR PEOPLE INTERESTED IN STARTING A CAREER IN THE TECH INDUSTRY? Alex: The most difficult challenge, is understanding that you cannot know everything. You always need to be flexible and never stop learning. Gagik: The Develandoo Training Program provides knowledge from the beginning. If you don’t have any specific knowledge for a project, there are resources out there you can obtain to get the IT training that you need. Artashes: I think that every newcomer faces challenges when it comes to work-life balance. In the tech industry, it’s easy to bring your work home, so you need to figure out how to balance that. Gevorg: The greatest challenge is that the industry changes rapidly and constantly. You should never stop learning, that way you can always be an up-to-date and a qualified IT specialist. WHAT ADVICE WOULD YOU GIVE TO ASPIRING TECHNOLOGISTS? Gagik: Everything is possible, just be patient and persistent, and do the best that you can. Alex: For those who are just beginning their careers, try to work closely with your team, explore parallel additional information from external resources, and constantly practice English. Artashes: Feel free to ask any question about your study program.